The information provided on this Site is for educational purposes only. Please consult a physician before beginning any treatment program or making any adjustments in your healthcare, diet, and /or lifestyle. Do not remove yourself from any prescribed medications or treatments without consulting your doctor. Any and all dietary supplements or nutritional products discussed on this Site are not FDA-approved and are not intended to diagnose, treat, prevent, or cure any disease. The information contained in this website is for general information purposes only. While we endeavor to keep the information up to date and correct, we make no representations or warranties of any kind, express or implied. None of the dietary supplements or nutritional products discussed on this Site are FDA-approved, and they are not intended to diagnose, prevent, treat, or cure any disease or illness. 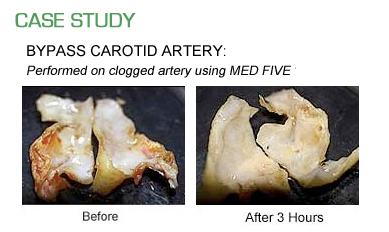 MedFive is not a drug. 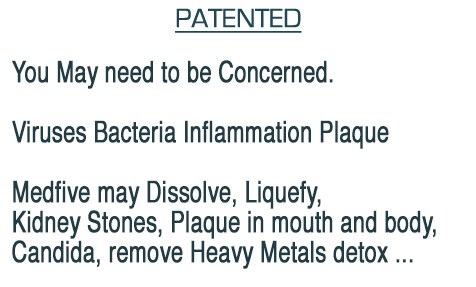 We are PATENTED and not offering a drug.